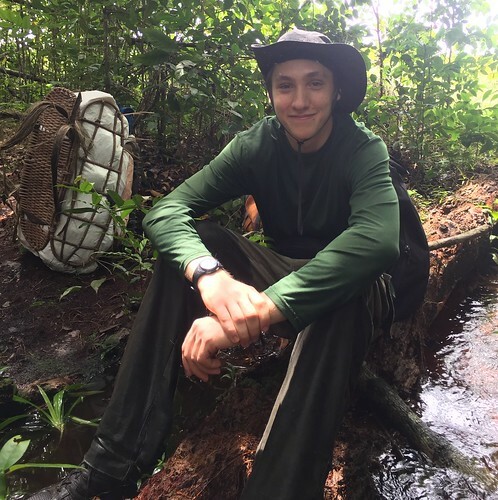 David came as a volunteer to learn about the forests of central Congo. And he certainly learned a lot about bonobos. Soon after he arrived he accompanied John to dig up a bonobo skeleton. 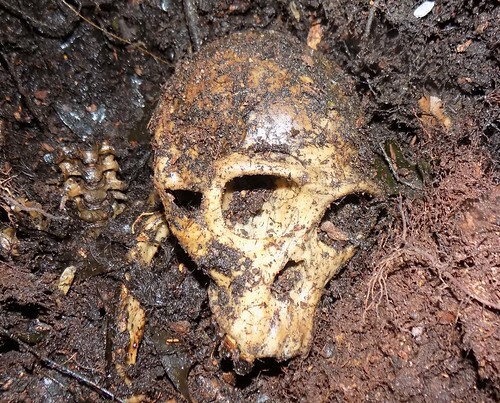 Picture of bonobo skull unearthed near the T4 transect. 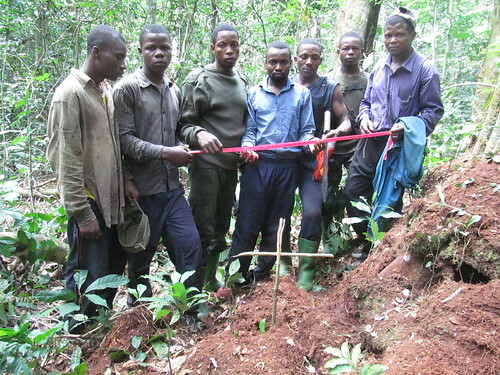 Later David got the full story from the team that buried the bonobo two months earlier. John pointing out the skeleton; Junior is next to him and David behind him. The 1709AN2 patrol team heard unmistakable bonobo clamor. It was 10AM, the 7th of October, and they were heading south on the T4 transect of their circuit of the Mpechi forest. There were eight team members, Amuri, Aiguille, Komba, Dilombe, Pierro, Abeli and Mooko, but they knew how to move quietly. They continued until they were under the group of noisy bonobo; six were clearly visible from the transect with recently built nests nearby (1st nest 7.7 meters from transect). Searching off transect for more nests, they stumbled on a bonobo corpse (it was 10:14 AM). Bonobo watched from the branches above the corpse. 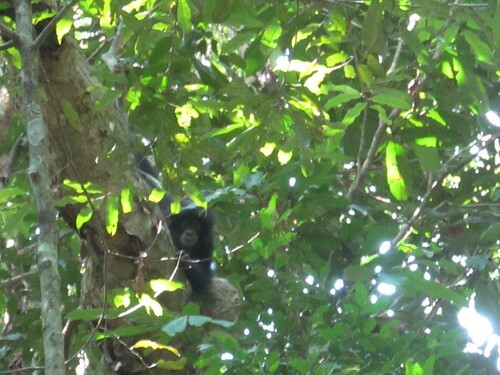 The bonobo group watched from the canopy. The team suspected the bonobos had cleared the area around the corpse as it looked as though twigs and branches had been brushed away. Talking with me (David), Amuri and Aiguille said they thought the bonobos seemed mournful. The body was on its side. Turned on its back the lips were curled back, there were small maggots on the face and numerous flies buzzing over it. The body was not completely stiff. The young female had probably died within the last 24 hours. There was no obvious cause of death although her body was emaciated. No signs of injury were evident. With un-developed breasts and small size she was likely a young adult. In bonobo communities this could mean two things: either she was a recent arrival to the group or a soon-to-depart daughter of a group member. Whichever, the group may have been present near the corpse for at least 8 possibly 12 or more hours. The 1709AN2 team at the grave, with the labelled flagging tape unfurled after the burial. 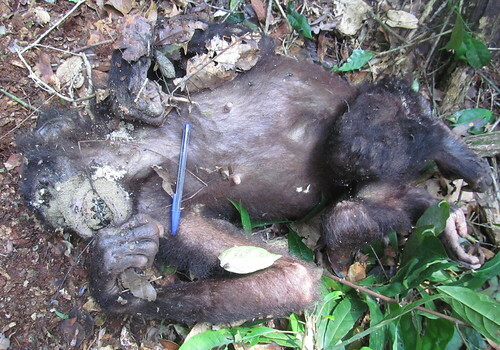 As best they could with a machete and sticks, the team dug a grave for the young female bonobo. The bonobos watched from the trees. Amuri slit a stick and fit it with another to make a cross. They wrote “Cimitière bonobo” (bonobo cemetery) on a strip of plastic flagging tape with a magic marker. When the patrol left, the bonobos were still there watching. 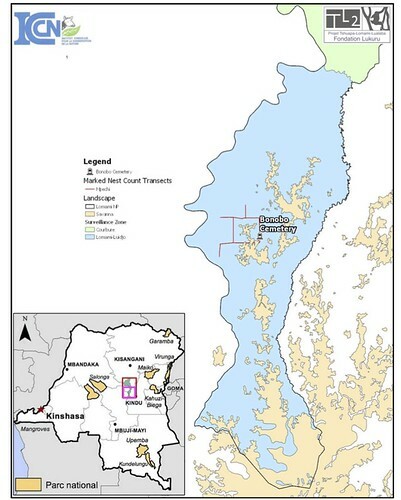 Map of the transects and grave site in the southern Lomami National Park. Nest found over the grave in November. 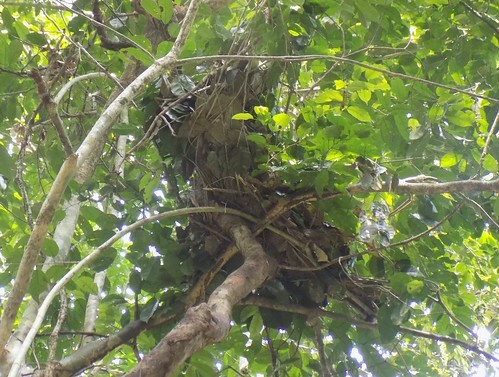 From late October and into December, we (David,John,Junior and other expert observers) conducted a nesting-site re-use study in the Mpechi Forest. When a team next returned (24th October) two recently built nests were found perched above the “cemetery”. Two weeks later two more new nests were in adjacent trees. The grave continued to have its sentinel mourners for over a month. David at a rest-stop. He has come back to the Lomami National Park, now to study the bonobo in another area, Luzaka, south of Mpechi. This entry was written by Terese Hart, posted on 2018-05-30 at 5:03 pm, filed under Bonobo. Bookmark the permalink. Follow any comments here with the RSS feed for this post. Trackbacks are closed, but you can post a comment. What an incredible experience to document. Was there any disturbance at the grave site post burial? Another incredible discovery in the Lomami National Park. Well done to the 1709AN2 team! Some ethnic groups in the isolated hinterlands of the DRCongo, have a traditional belief that bonobos bury their dead. 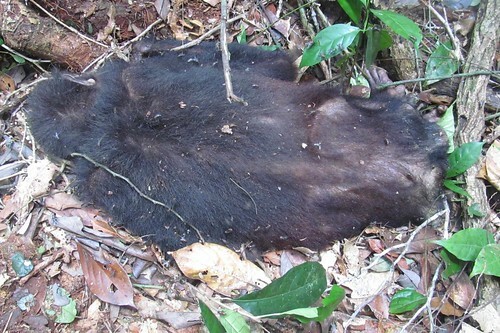 While there have been a few observations of dead infant bonobos in other locations (Lomako and LuiKotale) and a cluster of deaths due to an identified respiratory disease outbreak that impacted a habituated (for tourism) group at Malebo, this is the first documented death of an unhabituated, wild, adult bonobo and the compelling reaction from her conspecifics. 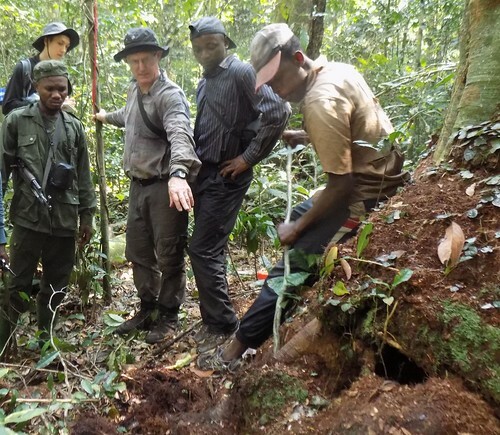 This is a great illustration of the rapidity of the decomposition process in the Congo Basin and an example of why the archaeological record is imperiled by natural processes of decay and disintegration.